(VEN) - Two years after its approval by the prime minister, Project 844 has yielded initial positive results in supporting a national innovative startup ecosystem. 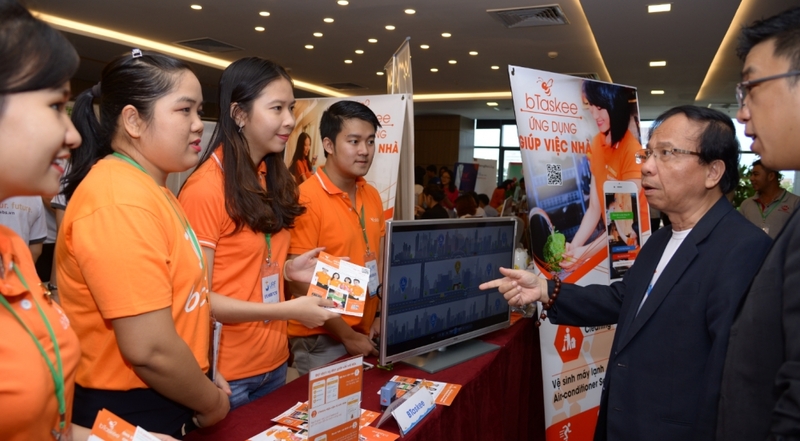 Vietnam has witnessed robust development in its innovative startup ecosystem, with some 3,000 startups, double the figure of 2015, according to Phan Hoang Lan, head of the Planning and Finance Section for the Ministry of Science and Technology’s National Agency for Technology Entrepreneurship and Commercialization Development (NATEC). Lan, speaking at a recent conference to discuss measures for attracting domestic and foreign resources for Vietnamese startups, said Vietnam is currently home to 30 business incubators and 10 business accelerators, with exemplary institutions like the Hoa Lac high-tech business incubator, Saigon high-tech business incubator, Da Nang incubator, and Business Startup Support Center. According to a report compiled by the Topica Founder Institute (TFI), Vietnam received more than US$291 million for 92 startup deals last year, compared to 50 deals worth US$205 million in the previous year. In addition, there are some 40 investment funds in Vietnam, most being developed by foreigners. Lan said that the NATEC has joined hands with the office of Project 844 on helping the national innovative startup ecosystem through 2025, which looks to support excellent startups in joining international forums and bolstering international cooperation. Project Office Director Pham Dung Nam said that although foreign players are involved in only 30 percent of total startup deals, their investment is much larger than that of Vietnamese firms. Therefore, mobilizing foreign resources and promoting international cooperation are especially important, especially as Vietnamese startups are becoming increasingly attractive to foreign investors. The Ministry of Science and Technology has signed contracts with four experienced partners to carry out training and capacity building activities for all stakeholders in the ecosystem, including Vietnam National University Hanoi, BK-Holdings, Business Startup Support Center, and Vietnam Silicon Valley Accelerator. The ministry has also assigned the National Agency for Science and Technology Information to set up a national startup portal to provide full information on the results of scientific and technological research, technologies transferred to Vietnam, and tens of thousands of domestic and foreign inventions. One of the most important factors promoting the development of the startup ecosystem is the connection between stakeholders. In 2017, the Ministry of Science and Technology successfully organized the APEC Startup Forum with the participation of nearly 30 startup companies and over 30 investors and venture capital funds. The NATEC successfully organized Techfest 2017, a national festival for innovative startups, to help stakeholders in national and international startup ecosystems to connect.